Emer’s practice focuses on property, commercial and trust disputes. She also advises on related professional liability matters. Emer offers intelligent, thorough and practical assistance. She prides herself on being user-friendly and approachable, and she enjoys working as part of the team. As an advocate, Emer is both engaging and tenacious. Emer regularly appears in the High Court, the County Court and a variety of tribunals, both on her own account and as a junior. She is highly-skilled in drafting and advisory work, and has worked on a significant number of high-profile, complex pieces of litigation. ‘A bright, sparky junior who’s like a dog with a bone; she will argue with great tenacity’. In previous years, the legal directories have described Emer as follows: ‘feisty and clever – a rising star’; ‘one of the top juniors at the Chancery Bar…her attention to detail and rigorous analysis [are] particularly good’; ‘brilliant’; ‘hardworking with an excellent grasp of detail’, ‘a tenacious advocate and a star of the future’; ‘a very good brain’; ‘a thinker and a doer’; ‘commercially minded’; ‘very persuasive’; ‘very good drafting skills’; ‘piercing intelligence, very bright, helpful and practical’; and as having impressed clients with ‘the speed with which she digested the materials’. 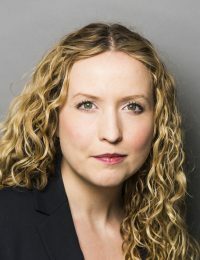 Acting as a junior to Jonathan Seitler QC and working alongside Tom de la Mare QC and James Segan of Blackstone Chambers, Emer represents the European Medicines Agency in this high-profile case (one of The Lawyer’s Top 20 Cases of 2019). The Agency is arguing that its 25-year lease of large premises in the Canary Wharf Estate will be frustrated by Brexit. The income stream from the lease is said to be worth around £500m to Canary Wharf. The trial took place over nine days in January 2019 before Mr Justice Marcus Smith, who found in favour of Canary Wharf but granted the Agency permission to appeal to the Court of Appeal. Canary Wharf is represented by Joanne Wicks QC and Jonathan Chew, also of Wilberforce Chambers. Led by Joanne Wicks QC, Emer acts for the landlord of a block of expensive flats in Little Venice, London, who has been granted permission to appeal to the Supreme Court. One tenant wanted to carry out renovations to her flat involving cutting into the walls contrary to the terms of her lease, and so sought permission from the landlord. Another objected and argued that the landlord could not permit the works, as to do so would prevent the landlord from complying with its covenant to enforce (on request) the covenants in the other tenants’ leases. The Court of Appeal agreed with the objecting tenant. Such covenants are found frequently in leases of residential blocks of flats and the Court of Appeal’s reasoning has potentially wide ramifications for landlords. Emer represented the estate of a deceased businessman who was alleged to have been involved in various property joint ventures relating to exclusive properties in West London. The claimants claimed millions of pounds in damages for various alleged breaches of contract and misrepresentations. This case followed the explosive Clutterbuck v Al Amoudi case brought by the same claimants, in which similar allegations against Sarah Al Amoudi (dubbed ‘the Vamp in the Veil’ by the Daily Mail) were successfully defended by Emer Murphy and Jonathan Seitler QC in both the High Court and the Court of Appeal. In this case, the defendant’s legal team (including Emer and Jonathan Seitler QC) had the majority of the claim struck out as an abuse of process relying on the principle in Aldi Stores  1 WLR 748, as the claimants had failed to bring their claim with other similar claims against Ms Al Amoudi. The Court of Appeal upheld the striking out of the majority of the claimants’ case in March 2017. A three-week trial of the remaining elements of the claimants’ claim took place in the High Court in June 2018, and raised issues of fraudulent misrepresentation, contractual interpretation, estoppel by convention and proof of loss. Jonathan Seitler QC and Emer again emerged victorious, and the claimants’ claims were dismissed in their entirety. This dispute relates to a settlement, approved by the High Court in 2014, which involved unwinding a multi-million-pound offshore trust. Emer acted for professional trustee company Confiànce, in defending the claim that it failed to ensure a sufficiently good deal was secured for the potential beneficiaries of the (now unwound) trust. Acting on her own account, Emer represented Confiànce in its successful application for security for costs. The case against Confiànce was struck out following the claimants’ failure to provide the ordered security. The potential beneficiaries then sought to revive the original High Court proceedings and to argue that they should not be bound by the court-approved deal. Led by Elspeth Talbot Rice QC, XXIV Old Buildings, Emer acted for Confiànce in successfully resisting the potential beneficiaries’ application. Costs and consequential arguments are due to be dealt with in 2019. This dispute concerned a complex joint venture-style agreement between a landowner and a developer, in relation to a prominent development site in London. Valuable planning permission was achieved for high-rise development on the site, and the land was sold with the benefit of this planning permission for more than £100m. The landowner and developer then disagreed as to how the profit arising from this sale should be split, with the parties divided in various respects as to the proper interpretation of the complex (and repeatedly varied) agreement between them. The case settled in 2018 following a successful mediation. Emer acted as junior to Jonathan Seitler QC. Unflappable and comes up with innovative solutions to issues.